Destination photography is the best. Even when I’m on vacation, I can’t resist the urge to make the most of my time with location-specific shoots. I recently got back from a much-anticipated trip to Kauai, Hawaii where I had the chance to shoot my last family photography session of 2016. Photographing Priscilla and her family was like hanging out with an old friend, or maybe it was more like we became instant buddies. We’re both small business owners who are getting ready to expand, and she’s from Silicon Valley where I’m currently living. Small world, right? We bonded over yoga, wanderlust, and the thrill of a good adventure. 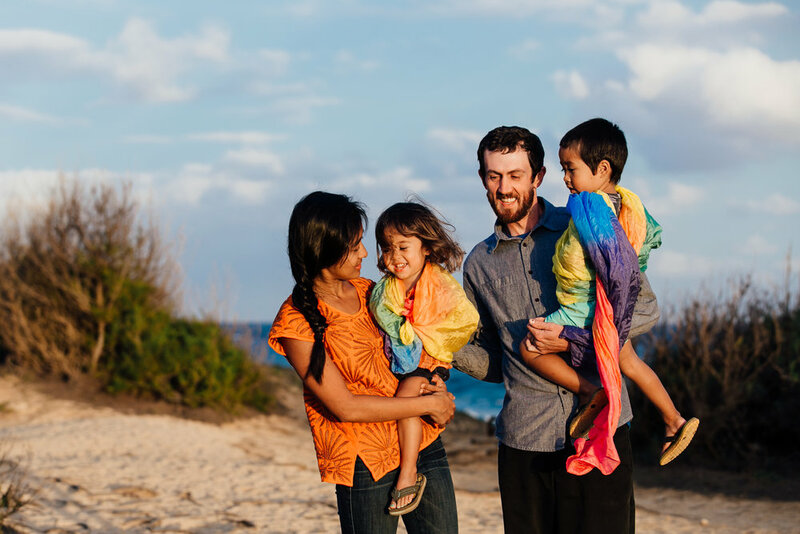 Priscilla’s family lead us to the cliffs over Shipwreck Bay in Poipu in our attempt to beat the sunset (and some rain, which thankfully held off), and I knew we were in for a stunning photo shoot. When your location is this breathtaking and your subjects are this captivating, it’s hard to call this “work”! 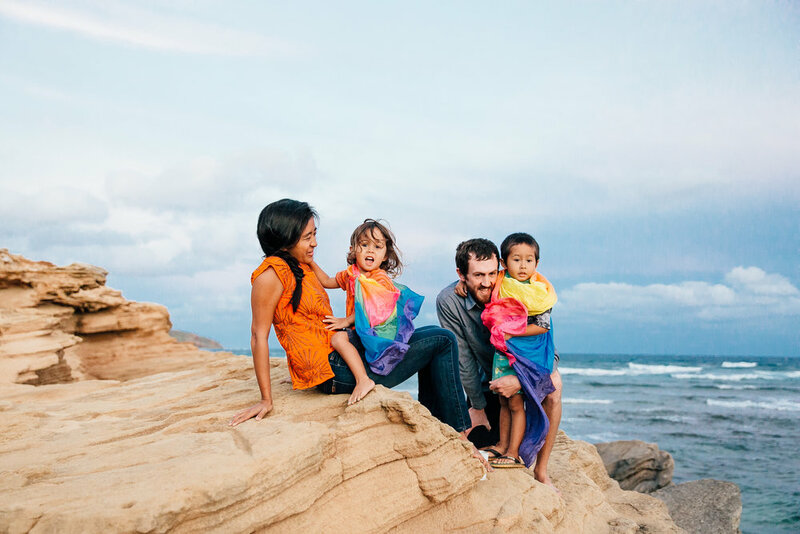 I’m so thankful that I got the chance to meet Priscilla, her husband Daniel, their two stealthy cliff climbers, and to document their bold spirits. To be honest, I don’t think there could have been a better way to end an incredible year. Here’s to an equally incredible 2017 (and hopefully more stunning on-location shoots! ).